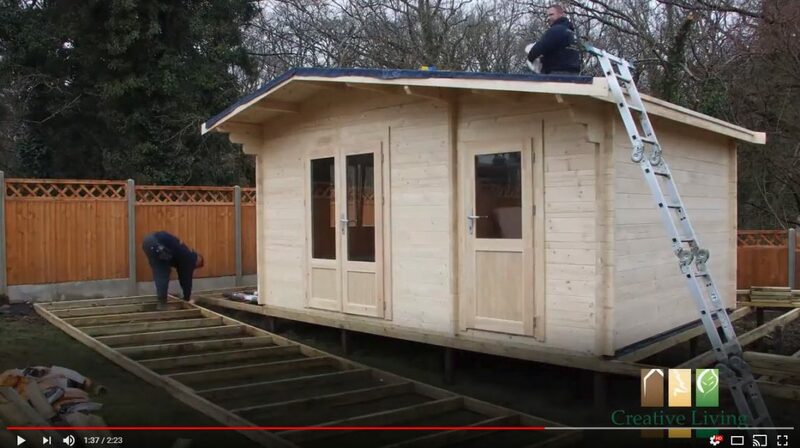 This video shows how a ‘London’ Twin Skin Log Cabin, by Creative Living Cabins is installed. The London Log cabin is one our premier cabins on show at all 4 of our display villages. This large multi-room cabin has many possible uses and includes a mezzanine level within the elevated loft area. 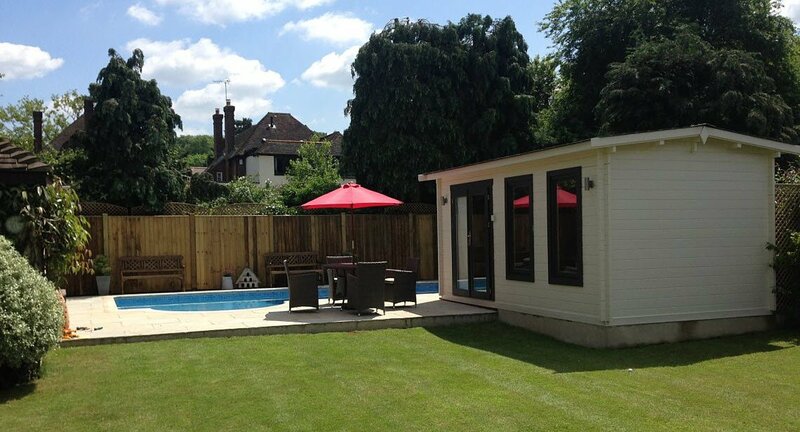 Ideal if you are looking for a ‘HOME OFFICE IN LONDON’, especially a GARDEN HOME OFFICE. This cabin can be bespoke designed to your own specifications so you get the exact layout to suit your needs and preferences. Are you looking buy a garden log cabin in the UK? The first thing to consider when considering buying a garden log cabin is It depends on what type of log cabin? For what end purpose will the cabin be used? 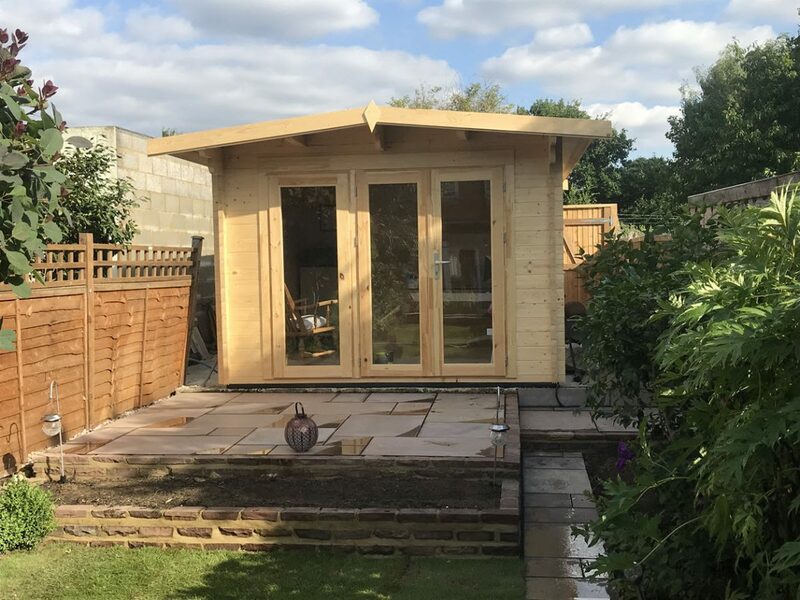 Many people buy a garden log cabin to use as a garden home office – if that is the case, one of the best suppliers are https://www.creativelivingcabins.co.uk/. Our very best advice is always to make sure you undertake plenty of research before you decide who to buy from. Some log cabins may seem cheap on the face of it, but if you delve in and properly compare what you are actually getting for your money the cheapest option is often far from the best. You need to be acutely aware that a garden log cabin will need to be extremely well built, durable, to withstand the unpredictable (but often wet and windy!) British climate. Your cabin needs to be far superior in design, construction, materials and installation than a glorified garden shed. Completely waterproof and protected from the ingress of water and damp. Doors and windows should be of a high standard and offer a good level of security also. The roof should be made using modern slating products and come with a guarantee of a reasonable length. Creative Living cabins are very high quality and we have loads of log cabin examples you can see on our website. There is also lots of other useful information such as the different optional extras you can add to enhance the cabin, such as installing air conditioning so you can have cool air in the summer but warm air for the colder winter months. We also provide a fully bespoke service so you can totally customize the size and layout of your log cabin to completely suit your individual needs. Many other log cabin suppliers do not offer this service and you have to buy from a standard range of sizes and layouts. A full log cabin installation service is also offered, by our very own in-house team of installers. 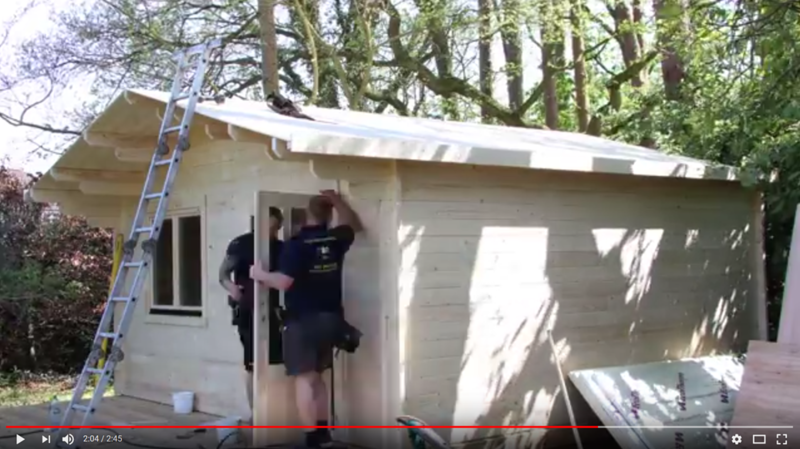 You can see a range of our garden log cabins being installed here, using time-lapse video to show how the cabin is put together, piece by piece. Finally, Creative Living Cabins also offer a free site survey so you can actually talk to an experienced person from their company who can give you invaluable advice about what type of log cabin to go for, what options you might want, and last but not least, help you site the cabin in the best possible location. I just wanted to write and let you know how THRILLED I am with my cabin. It is exactly what I wanted… The size is perfect, the split with shed/office is just right. It looks amazing in the garden and I am now working from here and moved out of the house which is lovely. The men that fitted the cabin were absolutely fabulous. It was some of the hottest days we have had and my garden is south facing and exposed and they didn’t moan once. Let alone having to bring all the cabin from the front of the house round to the back. They really were absolute stars and have done a fantastic job. If you ever want a quote or reference for your website then please do let me know. And if you ever want to refer people to come and have a look I am more than happy to show them and tell them how brilliant it is. There are a couple of neighbours around here thinking about cabins and I have a good friend too thinking about a cabin, so I will definitely point them in your direction. Or to find out more about our high-quality garden buildings, and the various options available to you, explore our website, or give us a call on 0800 644 6442, or make an appointment to visit one of our display villages. 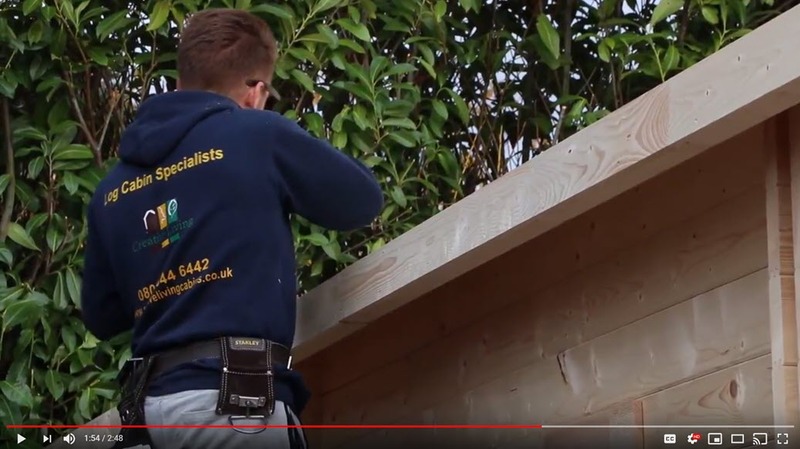 This video shows how a ‘Norfolk’ Log Cabin, by Creative Living Cabins is installed. These are high quality Cabins, perfect for Garden Home Offices, Summerhouses, and any type of Garden Building. Perhaps you are looking for some extra space, an extra room are simply somewhere to while away the summer days. Luxury Garden Log Cabins and Garden Buildings by Creative Living Cabins offer a high quality & affordable solution. Our garden log cabins for sale are arguably the finest available in the UK, built using sustainable wood, craftsman built and installed by our own dedicated installation team. 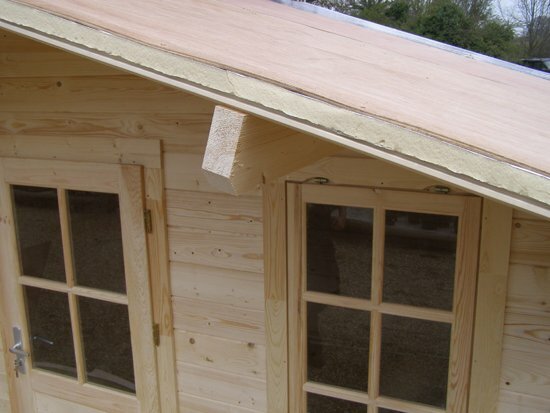 Our Luxury Garden Log Cabins are also available as a Bespoke Build. This means you can have full control over the size, room layout and any optional extras required. Most other garden log cabin suppliers do not offer true bespoke build. We do, and we can provide you with the help of a professional draughtsman service to really get the look and feel you want. We have a huge range of standard Garden Log Cabins, available in a multitude of sizes and options. Our garden log cabins are very versatile and our customers use them for a very interesting and wide range of uses including: garden log cabins, garden offices, garden home offices, summerhouses, children’s playrooms, hobby rooms, home gymnasiums, poolside rooms, chalets, timber garages, timber workshops, sports pavilions, cricket pavilions, riding school pavilions and we have also installed larger cabins for use by a local borough council. All our Luxury Garden Log Cabins are expertly installed by our own in-house installation teams. We never subcontract. 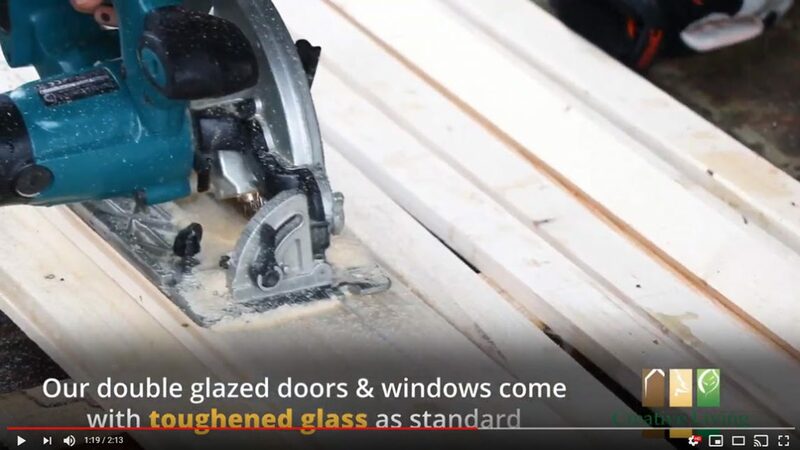 You can view our installation at work by viewing the following videos which show time-lapse reconstruction of actual garden log cabin installations. Creative Living Garden Log Cabins are an imaginative & cost-effective way to add quality space to your own home, and perhaps even increase its value. 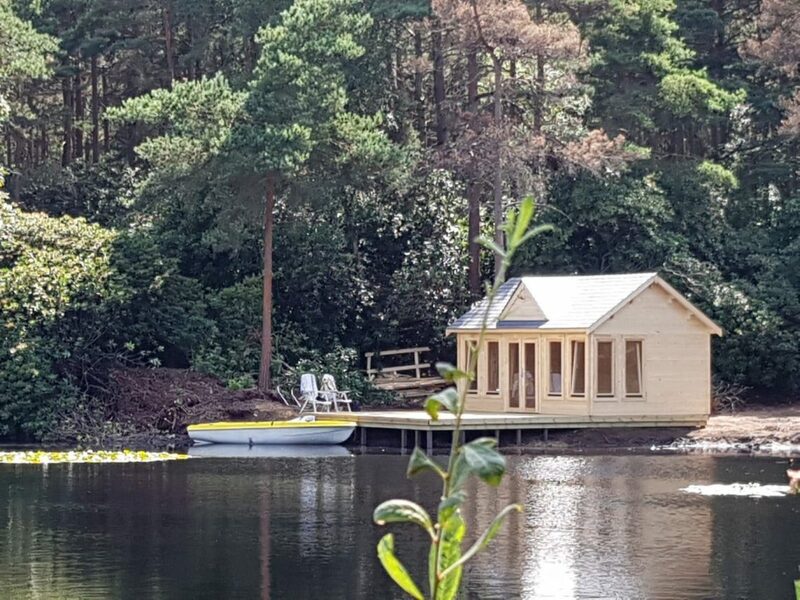 We offer free site surveys and free quotations with absolutely no obligation on your part, so why not contact creatively cabins today and let us design & build you your dream garden log cabin. 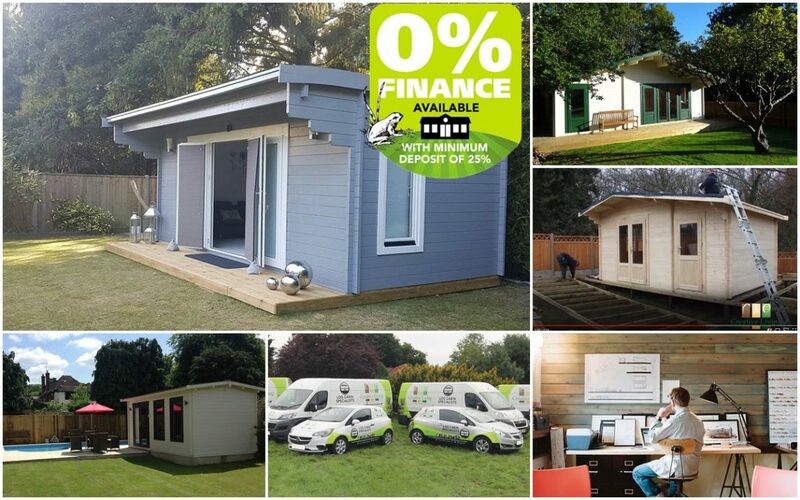 Log Cabins, Garden Home Offices & Garden Buildings come in so many shapes and sizes nowadays that cost simply cannot be defined as one average price. The price of your log cabin will be dictated by quality of the cabin you buy, its size and layout and any optional extras you decide to have. For example, air conditioning – a must if you plan to use the cabin as a home office or some other usage where ambient temperature will be a factor. Once you have carefully noted all the relevant factors and you know roughly what you want, then it’s time to begin researching potential log cabin suppliers. Because a quality log cabin is a ‘considered purchase’, probably likely to cost several thousand pounds, you need to do due diligence on the shortlist of log cabin suppliers you identify. So the question is not only ‘How much does it cost to build a log cabin’ but also who is the best company to buy from? Do they have evidence of their work – ie supplying and erecting/installing high quality log cabins and other garden buildings? Can you view a gallery of their cabins? Is there a ‘bespoke’ option, so you can design your own layout, room sizes etc? Do they provide an installation and basework service? If so what quality of materials and workmanship? Can they help and advise you regarding any planning issues? Will they offer you a free site survey to discuss with you your ideas and any questions you may have? Do they have a quality brochure, either printed or available online? Do they have a physical locations where you can visit and actually view their log cabins? Is there an average or ball park price for the cost of a good quality Log Cabin? For a high quality log cabin, as opposed to a glorified shed, you should expect to pay upwards of £2,500. The cost would then rise according to any optional extras you may deem necessary.